Pride of ownership lies within this home. Completely renovated in 2016, this BEAUTIFUL home offers space for the whole family with a 2 car garage and a Massive fenced in yard! Other features include 3 to 4 possible bedrooms, 2 bathrooms and Central Air. Upon entering you'll be greeted to open concept floor plan to the living room, and kitchen with kitchen island, s/s appliances, slider that opens up to the deck overlooking the quietly peaceful fenced in backyard. This backyard is great for entertaining family and friends. Additional features fireplace in the family room in the basement, recess lighting throughout the whole house, and granite countertop upgrade in both bathrooms. 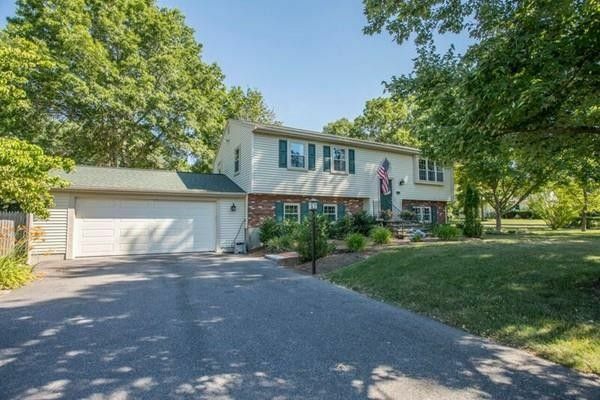 The privacy of this property provides a nice get away but is still conveniently located minutes to RTE 138 for shopping & services! Open House Saturday, July 14th from 11-1.